What does Halloween have to do with Witchcraft? The religion known as Wicca and its sibling and cousin religions are all based on the recognition of an ever turning wheel as part of the yearly cycle. Like all cycles it has a beginning and an end, and Samhain represents the portion of the year where things are coming to an end. The Sun God has passed through his maturity at Litha, to his old age at Lughnasadh, and now it is time for him to pass on into the realm of the dead in preparation for his rebirth at Yule. As such, this Pagan holiday is often known as the ‘Witches New Year’. The word ‘Samhain’ which is used to describe this Wicca holiday of Halloween, is drawn from an Irish holiday of the dead. The traditions related to this holiday are also largely driven to the same. But in the absorptive nature of the Wiccan faith, it is possible for any individual group to assimilate traditions from religions all over the world. The common denominator that stands at the core of the Wiccan tradition of Halloween is an honoring and recognition of those that have passed before us. 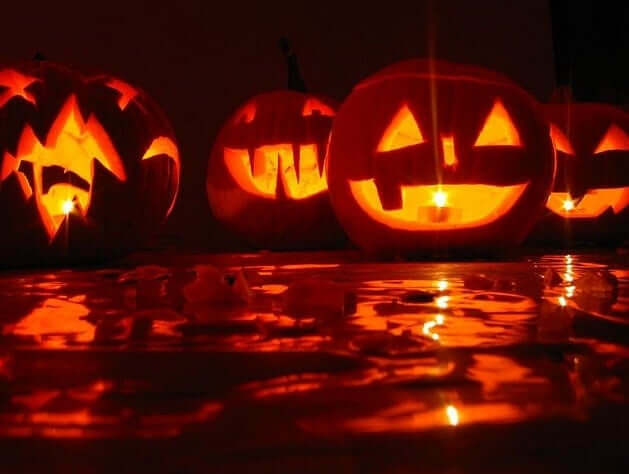 The carved pumpkins (originally gourds, as pumpkins are native to the New World) and the lights therein were used to either ward off evil spirits, or to guide spirits back to the spirit world so they didn’t get lost or stuck in this world. The original use of the costumes is largely in question, partially due to a lack of written records predating 1585 in Scotland. It is however safe to assume based on a variety of evidence, and the preponderance of tradition, that the practice goes back before this. The origins of these Wiccan practices vary in purpose and style depending on where you herald back to, but they do tend to share one common theme. The individuals dressed up were generally dressed up as frightening or disturbing creatures, representing various mischievous spirits or ghosts. Those so dressed would then go from house to house, singing songs or reciting verses and collecting treats of various sorts. These were usually accompanied by threats of mischief if they did not receive those things for which they petitioned. Often the costumes were worn to confuse or ward away mischievous spirits from the homes and community, or even as a way to guide the spirits off so that they don’t remain trapped here. This time of year is also known for an effect known as ‘the thinning of the veil’. This refers to the barrier between this world and the spirit world, and assists in communication with those who have passed on. Being a liminal time, bound on the border of one year and the next, and the land of the dead and the living, it is often used for divinatory practices as well. Additionally, being a season of death and a turning point in the Wicca wheel of the year, this holiday of Halloween is very popular for the equivalent of ‘New Years Resolution’. It’s time to set old rivalries, bad habits, and pains to rest, and arrive in the new year refreshed. In some traditions, things that need to be released are written on slips of paper and ritualistically thrown into a fire.